If everything always went according to plan, there’d never be a need for things like insurance. If you could control all the drivers on the road, prevent yourself from getting sick, and somehow find a home that never needs repairs, insurance would be an obsolete product. The truth is; however, everything cannot be controlled, and it certainly doesn’t always go according to plan. Although it can’t change the current circumstances, insurance provides a financial cushion that can help you get back on track. Below are some insurance types you might need and why. You’ve invested hundreds of thousands of dollars into your home. From the mortgage payments to every repair and improvement ever completed on the property, you’re constantly shelling out cash. Now, imagine if something happens to your house that you had nothing to do with? A tree falls over on your roof or a bad storm destroys your windows. How would you pay for such a costly repair? Homeowner’s insurance is designed to help in these scenarios. When things happen to your property or personal belongings that are beyond your control, you’re entitled to file a claim to have the issue repaired or replaced. No one likes the idea of having to give up a few hundred bucks each month for a product it seems like they never use, but car insurance is most certainly necessary and can ultimately pay for itself in one instance. An accident, without insurance, can cost you thousands in medical costs, property damage, and legal costs. However, car insurance provides financial coverage and all you’re required to pay is the agreed upon deductible. There are various types of car insurance. For instance, liability coverage will only cover the financial and medical expenses of the other party’s vehicle if you’re the at-fault driver. Collision coverage, on the other hand, provides full financial coverage for you and your vehicle whether you’re at fault or not. For those who are especially known for speeding and reckless driving, SR22 insurance may be required. Which is essentially a court ordered requirement of repeat traffic violators to obtain a document from insurance providers proving they have adequate insurance coverage. It might be a bit strange to think about life after you’re gone, but when you have belongings, family and friends, you’ll need to consider this. When you’ve passed on, your family will be responsible for more than just packing up your things. They’ll have to pay for the funeral, pay any outstanding bills, and also find a way to survive financially without you around. Life insurance helps to cover those expenses and more. 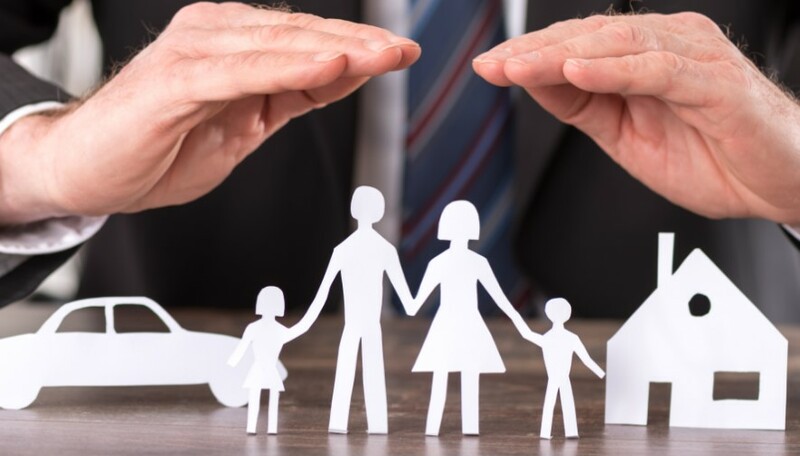 The funds received from a life insurance policy can be used to pay for final expenses and even raise your children if they happen to be young. Trip cancellations, lost or stolen items, medical emergencies, and everything in between can happen while you’re traveling. Unfortunately, if you’re not prepared, your vacation can turn into a disaster – fast. Travel insurance helps to put your mind at ease. Should something go wrong like the need to cancel a trip last minute, your luggage gets lost at baggage claim, or you get sick from something you ate in a foreign country, you’ll be covered. If you own a business and you don’t have insurance coverage, you’re a ticking time bomb. No matter what type of business you run, there is always the chance that something could go wrong. A disgruntled customer, an employee who was injured on the job, and much more could result in a law suit. Business insurance provides financial coverage and saves you from having to pay any legal fees or awarded suits out of your own pocket. Obviously, medical insurance is something we all need. Though not everyone has adequate coverage, medical insurance can save you thousands of dollars on everything from a trip to your primary care physician to a life-changing surgery. In the grand scheme of things, insurance can seem like nothing more than a monthly bill. However, when you really think about it, insurance can get you out of a financial jam. Insurance provides financial coverage for life’s circumstances, that in many instances, is beyond your control. If you don’t have the above-mentioned policies, you should really reconsider.